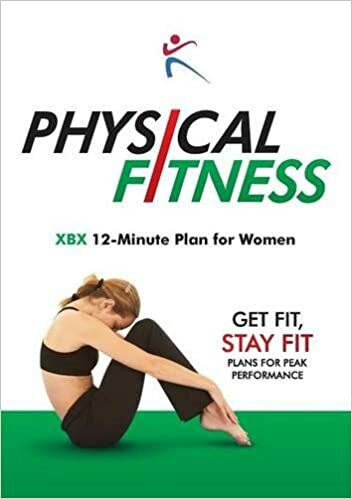 Physical Fitness XBX 12-Minute Plan for Women is a short book that provides an exercise program for women who are over 20. Each age group has a suggested length they should spend on each workout. 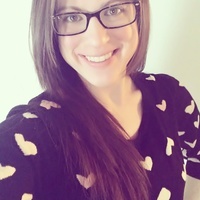 Useful information on reasons why someone should be fit, weight control, and how exercising can change how you feel physically are also provided. In addition to tips, there are also charts that provide which exercises a woman needs to complete and how many for how long. There is also a useful chart to fill out goals and progress. This book was a quick and interesting read. One of my favorite parts of the book was that it gave pointers on how to exercise by not exerting oneself and taking it slowly. Another part I loved was that they cautioned people, who may not be able to exercise, to consult with their doctor. It is important to note this because not everyone is on the same health or abilities level. Exercise should not hurt, and people should stretch beforehand as well as take it slow. That is why the author suggests a certain amount of days on each workout as well as not trying to get all the exercises done in the amount of time if you struggle with it in the beginning. I think it is great to tell people to slowly build up their workout routine rather than trying to rush and possibly harm themselves. While it seems like there are a lot of exercises to do in a short amount of time, the book does state to do them at your own pace and continue to work toward the goal. Do not get overwhelmed or be intimidated. It is important to not hurt or strain yourself. I also like that there are charts to show you what exercises to do, how long to do them, and how many to do. The chart was a little confusing at first but easily understood with the explanation. The pictures in the book are very useful. Not many people, myself included, would know what some of the exercises were. Additionally, with each increase in the charts, new steps are added to the exercises. The illustrations show exactly how the exercise should be completed and really help with any confusion. Finally, if you have a physical copy of the book, it gives you spaces to write goals and where you are. So if you have a specific goal to meet weight wise, you can write it in the book. There were a couple of things I would have liked to see. For instance, the author mentions how research indicates certain aspects of health and exercise, but it would give it more credibility with references. The book mentioned healthy eating, as such, I think it would have been better to include more detail on this topic. I would definitely recommend this to anyone who would be interested in looking to help with their sedentary lifestyle. 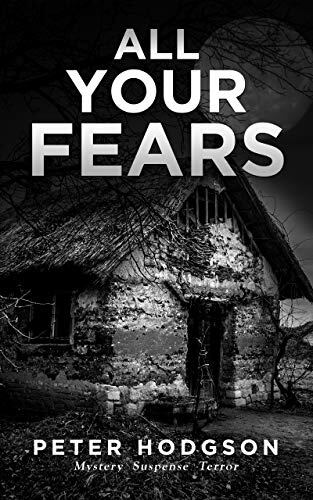 All Your Fears follows Kim, a seemingly normal person, but something sinister returns from her past. What was the inspiration for the setup to this thrilling novel? The inspiration for All Your Fears comes from different sources. The plot is loosely based on a crime that occurred in the UK some year ago. In order to create a compelling novel I needed to look at alternative ways to drive the narrative, make it interesting and keep the reader guessing. 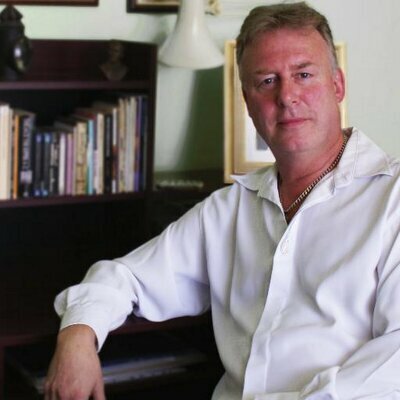 Hours of research furnished me with material gleaned from paranormal events and case studies centered around psychological disorders, particularly with reference to the emotion of fear and what causes it. Kim is an intriguing character that continued to develop as the story progressed. What were some driving ideals behind her character? The novel portrays the main character, Kim Robins, as a deeply troubled young woman with a huge emotional burden. She is basically a ‘good’ person: forgiving, compassionate and trustworthy. Most of all, though, she is vulnerable and therefore wary of people and their intentions. Kim’s mental state quickly deteriorates as the novel progresses, and reaches a point of no return. She does, however, possess an inner strength that enables her to fight on, as it were, in the search for spiritual release. This novel expertly delivers mystery and suspense. Was the story planned or did it develop organically while writing? Before I began writing the novel I planned the beginning and the end. I formulated several chapters, wrote them, and decided where to go from there. I found that ideas came to me during the writing. The characters, once fully formed, started to ‘speak’ to me; they take on a life of their own. As an author, you have to make sure you don’t deviate away from the plot otherwise it loses focus. The novel has a moral side to it and hopefully will ask the reader to make their own judgements on various aspects of the characters’ motivations. I am taking a break from writing and pursuing my other interests. I do, though, have an idea for another novel entitled, Chapter 13. 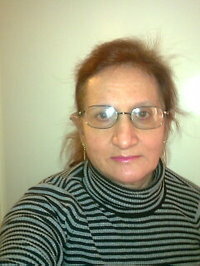 Kim Robins lives a contented life in a peaceful market town. One evening, she encounters a maniac driver who narrowly misses running her over. History teacher Jay Yeldon drives by moments later, takes her home and examines her sprained ankle. A romantic relationship soon develops, but as the weeks progress Kim is plagued by disturbing, bizarre incidents and mounting fear. Trusting nobody, she seeks spiritual help, only to be cruelly deceived. Fearful that Kim will come to harm, Jay turns detective and discovers the shattering truth about the woman who loves him. Someone is out to destroy her and will stop at nothing. Jay faces a moral dilemma and becomes isolated. Undeterred, he conceives a daring plan to expose her enemy, but nothing prepares him for the unexpected, horrifying climax that changes his outlook on life forever. The Green Line Divide is a genre-crossing novel with elements of romance, travelogue, and humor as well. Did you start writing with this in mind, or did this happen organically as you were writing? Yes, I entered a Commonwealth competition in my younger days and in my mature years i expanded it. So, i already had a skeleton, and this is why romance comes late as the hero was not in my competition story. Truthfully, i did not think much about romance at that time in my youth. I found Alexis to be a very well written and in depth character. What was your inspiration for her and her emotional turmoil through the story? She is what i was when i was in my twenties, and perhaps what i would have like to be. And, some turmoils, both inner and external are true. This novel does a fantastic job of exploring the culture of the places that Alexis visits? Did you do a lot of research to maintain accuracy of the subject? Yes, a lot of research had gone into it. eg for skiing i contacted the ski club in Cyprus; researched on fruits and vegs for the seasons; timings for boat travel between the two islands; vintage cars and perfumes; it took me 3 days to find something on Russia and i came up with the Russian watch anthem; i phoned around to ask for Cyprus beverages; I contacted the Cyprus and Swedish embassies in the UK who provided me with correct information, eg on Swedish wedding traditions, and Cyprus on the boundary greenline between the north and the south. And since i have lived in Cyprus and visited Rhodes Island, it was not difficult to visualise and write about it. I have started one which i have put aside as i am concentrating on hospital training as a clinical coder. The next book will be romantic again but more of a serious nature. It has started off on a comical political footing though. 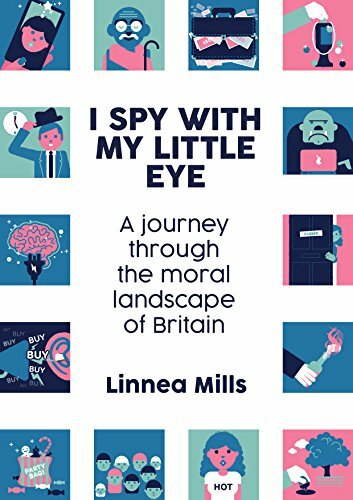 Romance, humour, and drama abound in this fast-paced, playful novel–and so, too, do questions and surprises. The Green Line Divide: Romance, Travel, and Turmoils encounters readers with people from various parts of the world, including exotic destinations like Cyprus and the Greek island of Rhodes. And follow a young woman named Alexis as she struggles with gamophobia and tries to come to terms with her independence, relationships, and the future. Smitten with a handsome Swede named Sven, a United Nations officer, Alexis plans to marry him, but has a lot of issues to confront if she’s to make it down the aisle–and, as she confronts them, The Green Line Divide is sure to touch your heart, educate you, tickle your funny bone, and put a smile on your face. Will Alexis ever marry? Or will she find an excuse to run away from it all–again? Step into this book for answers. Along the way, you’ll also learn new travel, leisure, and entertainment ideas. I’m With You is a gripping novel that follows young Remiel as she tries to evade assassins sent by her father to avenge the death of his wife. What was the inspiration for the setup to this thrilling novel? Remiel is the backbone of the story – I had the idea for her character first, and the plot evolved from there. I’m With You is a very character-driven story in general, so once I established the basic plot, my ideas shifted around to fit the characters. I shaped their personalities and relationships, then molded the remainder of the plot to connect them and aid their development. The book starts in the industrial city of Kelvar. I found this backdrop to be detailed and interesting. What did you use as a starting point to create such a vivid backdrop to the story? I did a summer semester abroad in England during my college years and spent a lot of time in London, but I also traveled to several other cities and towns, and I drew a lot of inspiration from the places I visited. During my time there, I got to study history, architecture, writing, and various other subjects, which influenced the initial framework for Kelvar and the nation of Empirya. I also aimed for a less “modern” time period and took additional inspiration from 1930’s/40’s America. For Kelvar specifically, I drew from particular parts of both London and New York City. The relationship between Remiel and her brother Ciarán is intriguing. What themes did you want to capture when creating these characters and their relationship? One of the main messages I hoped to convey through the story is the impact and significance of family, which is partly expressed through the sibling bond between Ciarán and Remiel. Even when their lives are flipped completely upside down, they can always rely on one another. I also utilized their relationship to illustrate the theme of acceptance, as Ciarán accepts Remiel for who she is despite her “gift,” and that encourages him to accept others as well. In a way, I view their bond as the heart of the narrative, which serves to fortify their connections to the other characters. I am working on a YA fantasy novel that will (hopefully) become a series, and I hope to put it out soon! 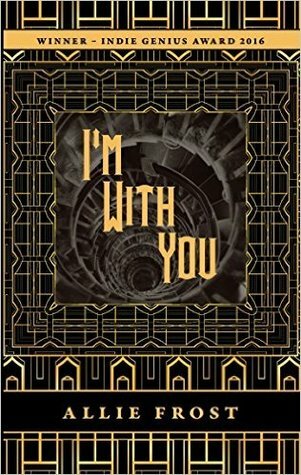 I also have ideas for a potential companion novel to I’m With You – like a collection of short stories or something similar – but nothing set in stone. When fifteen-year-old Ciarán Morrigan eavesdrops on a conversation between his father and two mysterious strangers, his life–and the life of his little sister, Remiel–is changed forever. After their father makes a startling decision, the Morrigan siblings are forced to flee the only life they’ve ever known and embark on a dangerous adventure across the nation of Empirya. 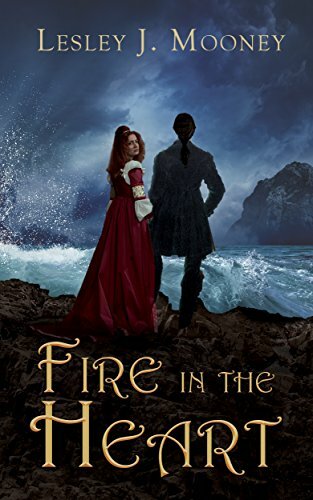 With the help of a disinherited vagabond, a cynical violinist, a fire-juggler with a fierce temper, an aspiring mechanic, and a cheerful librarian, Ciarán and Remiel must fight to escape those who have been hired to hunt them. But will Remiel’s dark secret prevent the Morrigan children from finding a place they can truly call home? When live-action-role-playing adventure goes horribly wrong it’s up to our battered group to save the day! Dale, his girlfriend Jane, sister Katie and friend Gavin are off on a LARPing adventure. Dale isn’t used to this style of play and is finding himself wishing it was bit more interesting. 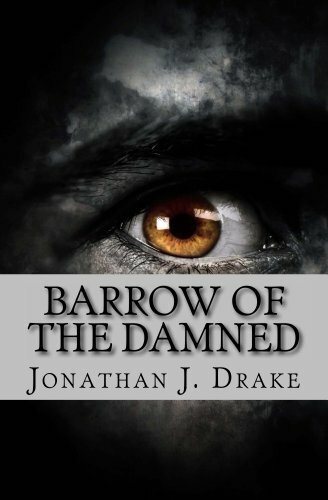 One must be careful what they wish for in The Barrow of the Damned by Jonathan J. Drake. After a few days enacting their scenes the group is presented with a special module by Mr. Stephens, their coordinator. He leads them to a barrow where they will go to combat with other friends in an orcs-versus-adventurers play. They’ve even got a game master to keep them in line. All seems to be great, until the group steps foot in the creepy crypt for the first time. It’s dark, foreign and crawling with things that go bump in the night. Will they survive? Where are they, exactly? Finally, who is the one pulling the strings behind this adventure? Be careful what you wish for. The story begins with a shock as a young man meets his end inside the barrow. This poor fellow will play an important role in the tale to come so it’s a good idea to remember him. The story isn’t too long with short chapters that serve to change up the perspective now and then. We get a good glimpse at what is going on from the viewpoints of all involved. There is a lot of blood and gore in this story, so if that’s not for you it would be wise to steer clear. Those who like a fantasy-adventure tale with a bit of horror will find this tale is right up their alley. The story appears to take place in the United Kingdom, although definitive places are never mentioned. Based on the terminology the characters use and the way they speak it is assumed that is where our tale unfolds. While the story is relatively entertaining with shadows of J.R.R. Tolkien and some black humour dabbled about, the overall execution could use some polishing. There are grammatical errors and strange capitalization on words that pop up here and there which detract from the overall story. There are some key elements that aren’t explained very well that can leave readers with more questions than answers after completing the journey. Questions like, why are the Fates, who have origins in Greek mythology, in some barrow in what appears to be rural England? How did they get there? How long have they been there? From what we read, it seems like they have been there for a while, trying to steal something from a spirit who was created by the gods. With a name like O’Fleistus it’s assumed this spirit would be of English origins, but it’s not really explained. We get a bit of an explanation, but it could have been fleshed out much more instead of being revealed in fleeting conversation. A little bit of blood and horror can dress up any LARPing event. What began as fun and games quickly turns into mayhem in The Barrow of the Damned by Jonathan J. Drake. This book has some very good potential if it had been fleshed out a bit more. There is opportunity to expand and explain more of the black-humoured story found on these pages. Aside from these minor drawbacks, it’s a fun and quick read. This tale is quite gruesome for the faint of heart. If that’s your cup of tea, you can’t go wrong venturing into this Barrow of the Damned. 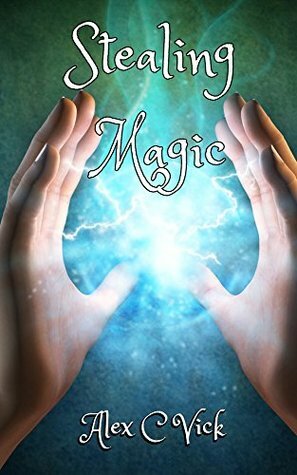 Stealing Magic follows three characters as their worlds collide and they must help each other. Earth’s trees carry all the magic that the residents of Androva are trying to harvest. Where did the idea of harvesting magic from trees come from and how did that help you write the rest of the story? Great question! The idea of magic-taking, or harvesting magic, came first, and then I needed to find a believable source of that magic. I live in the South of England, at the end of a street that’s completely ordinary, apart from the ancient woodland next to it. ‘Ancient woodland’ in the UK means that the trees have been around since at least 1600. It’s easy to imagine there could be something magical about trees that old. It helped to balance the rest of the story. Although Earth didn’t have any magicians, it did have a lot of powerful magic. If anything were to happen to that supply of magic, it could (and eventually does) cause enormous problems for everyone. Shannon is from Earth and learns of her magical abilities when Jax and Darius go to Earth to harvest magic. What were some aspects of these character that you felt had to be different and some aspects that you felt had to be the same? I loved writing all three characters, but especially Shannon. She’s just an ordinary teenager, until she touches some of the magic that Jax is harvesting. She has no idea what she’s capable of. 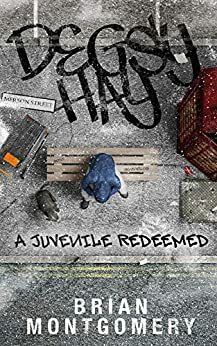 I needed Shannon, Jax and Darius to have quite distinct personalities, not just to keep the story moving forwards, but to give them each the chance of learning something different from their adventure. However, I wanted them to be friends, and to trust each other. Making them close in age, having them be honest with each other, and also able to have fun together, was important for that. Some of the key themes in this book are loyalty, family bonds, trust and letting go of the past. Do you feel that these were important ideals to write about or did they happen organically as you were writing? The loyalty and trust, and the bonds of family and friendship, were important right from the start. All the excitement of discovering magic could seem pretty meaningless otherwise. And of course, the characters can only overcome their challenges if they work together. Everyone has a part to play. The idea of letting go of the past happened more organically. It became obvious as I was writing that the adults in the story allowed the past to shape their current decisions in a way that the teenagers didn’t. I ended up exploring what was good and bad about that. What is the next book that you are writing and when will that book be published? I am about to start writing the fifth book in the series. The fourth book, Controlling Magic, will be published at the end of December 2016. Shannon’s friend Penny is now a main character alongside the other three underage magicians, and this time they’re up against an enemy who can turn their magical ability into a disadvantage. Each of the four books has a self-contained story, as I can’t quite bring myself to write a cliff-hanger! What would you do? Would you open your eyes, if you were the one that heard them? Two magic-takers from another world, arguing about whether they can collect what they came for before you wake up. It sounds like a crazy dream, or a practical joke. But what if the air around you started to vibrate with an invisible force field? What if, all at once, it felt terrifying yet familiar too? You would have no way of knowing that your life would change forever. That this discovery would set you on a path no-one from our world has taken for centuries. Towards a deadly enemy, and a fight that you will almost certainly lose. All you know is that your heart is beating so fast you’re worried they will hear it, and your brain is starting to buzz as the force field reaches it. Would you open your eyes? Join Jax and Shannon as they live through the most exciting and terrifying ten days of their lives (so far). This is the first book in the Legacy of Androva series. Fragile Things is a somber look at the bleak lives of council estate residents (which is a form of government housing) Jennifer and newcomer Ebony. Jennifer, a recovering heroin addict, struggles for a life that she can call normal while Ebony fights to keep the monster inside of her from coming out. They both struggle to find something to live for in a town where the only interesting thing that’s happening is your routine drug deal. In the midst of their troublesome lives they stumble upon each other and find comfort in each other’s friendship and mystery in each other’s lives. The first things I noticed about Fragile Things is the writing, very concise contemporary writing that’s intriguing in its simplicity and underlying eerie foundation. I was endlessly interested to see what kind of odd situation Jennifer would find herself in and I was constantly wondering (or worrying) when Ebony was going to let her demons take over and rip someone to shreds. 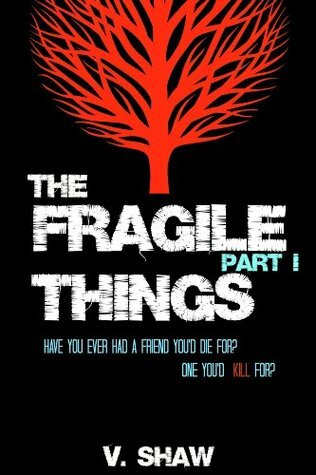 Fragile Things is a short read and ends rather abruptly, but sets up nicely for the rest of the series and leaves you with a definite feeling that something peculiar is going on with the people and the town.